Recently, I got in touch with the first friend that I ever had ... The one that I was inseparable from as kids. It was so good to hear from her just to find out that we are living parallel lives. We are both on child #3 and they kids are all the same ages. We are planning to get together soon to really catch up and to finally meet each other's kids ... I'm so excited. This past weekend, the craziest thing happened. I was in the grocery store and I ran into her parents too! It was so fun to chat with them. Her mom made a comment about Beamish, my old nickname from them. It flew right over my head like it was just yesterday that they were calling me that. When I got home, I was ear to ear smiles about my run in. As I was unpacking my groceries, I had to laugh because I went to the grocery store to get ingredients for my chili. When I started making it, the only beer that I would ever use was Beamish because of my old nickname. 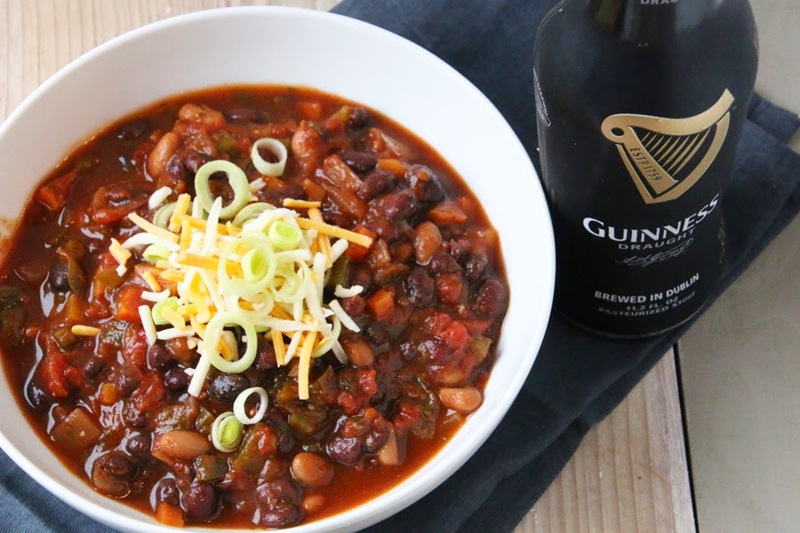 Over the past few years, I have switched to Guinness when making the chili just because you can't get Beamish at the grocery store or even every liquor store. I usually don't want to make an extra stop and unload the kids just for the Beamish. Regardless of which one you choose, Beamish or Guinness their flavor is perfect! That's actually the best thing about this chili ... the ONLY liquid I use is the beer. I drain all of the tomatoes and beans so the roasted barley flavor is the major highlight of the dish! 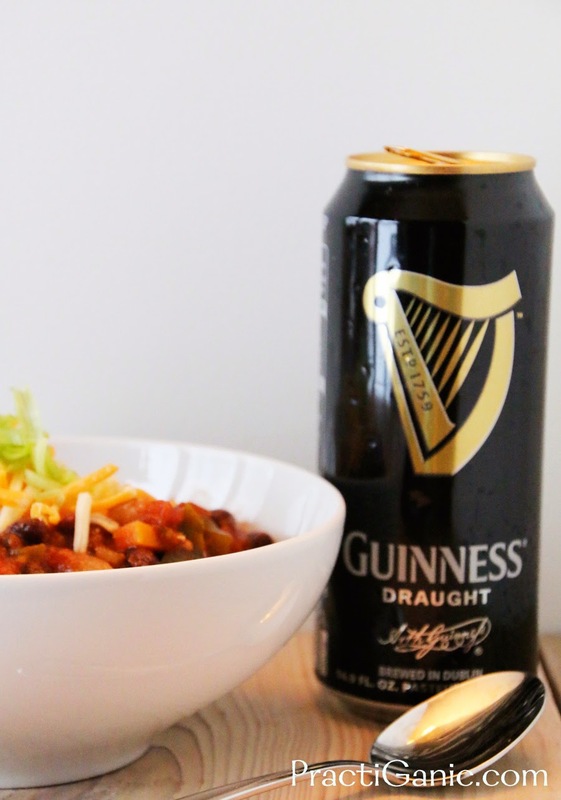 As I was making my chili with my can of Guinness, I almost felt guilty about the switch. I know, silly right? But, then I tasted the chili when it was all done and even though I use Guinness, taking a bite still reminds me of being a little girl, playing with my best friend and being called Beamish! There's nothing better than enjoying food that brings back great memories as all food should! Heat oil in a large pot over high heat. Add onions, garlic, cumin, red pepper, salt and pepper. Saute until onions are transparent. Stir in tomato paste. Then mix in celery, carrots, peppers, jalapeno, and chipotle pepper. Cook about 5 minutes while stirring to incorporate the flavors. Stir in tomatoes, beans cilantro and Guinness. Bring mixture to boil. 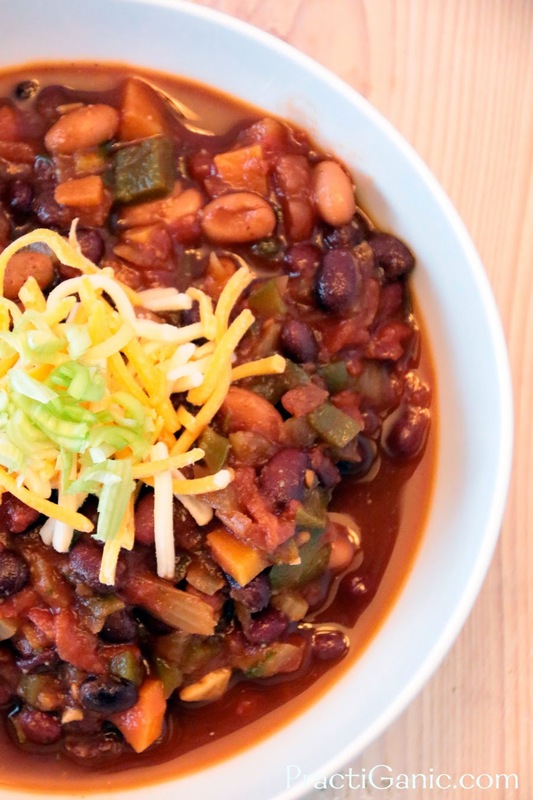 Reduce heat and simmer 2-3 hours or move to a crockpot and keep on warm. I have to make this! I can't wait to try it.